Homily – 19 June 2016 – Who Do You Say You Are? Twelfth Sunday in Ordinary Time C OTC – 19 June 2016 – Who Do You Say You Are? Negin Farzad from Palm Springs, CA, calls herself an “Iranian-American-Muslim-female-comedian” just to make sure there is no doubt about her identity. How do people know who you are? Last week Betsy spoke about the significance of our names as one response to that question. Her words rang true again all last week as we heard the public, reverential announcement of the names of each person killed in Orlando. How about you and me? Who are you? Who am I? Is our identity based on gender, race, nationality, sexual orientation, job, marital status, religious affiliation? More than just one of these traits? How does our understanding of our identity affect our relations with others, decisions we make, actions we carry out? The glaring labels heard after the Orlando attack, about racial, religious and sexual identities, are dangerously divisive. The scurrilous generalization that somehow all Muslims are responsible for terrorism is just one example. How timely that we heard Paul’s letter to the Galatians this morning. Opposing the idea that new Christians must first follow Jewish laws, Paul announces that in the eyes of God there are no labels — neither male or female, Jew or Greek, slave or free person. Who were those Galatians anyway? Why did Paul write to them the way he did? Recently I gained insights into this biblical text in an unusual way. Years ago I visited the Pergamon Museum in Berlin to see the magnificent Altar, an enormous artistic and architectural testimony to the power and prestige of the ancient Greek city of Pergamon. At that time I did not comprehend its significance especially with regard to the Galatians. Last week I saw a compressed exhibition, Pergamon and the Hellenistic Kingdoms of the Ancient World, at the Metropolitan Museum of Art. Our guide was Brigitte Kahl, a New Testament scholar and expert on the Galatians, Paul and the Pergamon Altar. The exhibit focuses on Alexander the Great who sought to conquer the world. Professor Kahl spoke excitedly about the combat scenes in the sculpted frieze that frames the enormous Pergamon Altar (c. 200-150 BCE). She graphically described how the gods and especially the goddesses defeated the Giants, symbolic victories of order over chaos. Think of the themes in super hero movies today. Kahl wrote that the scenes of the mythical heavenly battle in the Altar recall the military operations of the Attalid dynasty of Pergamon against the marauding barbaric Celts or Gauls — another name for the Galatians — who were once “perceived as universal enemies and an almost cosmic security risk.”  Were the early Galatians an ancient prototype for today’s terrorists? Kahl claims, that what was important ages ago is still the driving force for evil today — victory over people results in power over the people. In the gospel text Peter answers Jesus’ question with conviction. You, Jesus, are the anointed One of God. This title, in Reginald Fuller’s words, is not a dignity to be claimed by Christ but a mission to be worked out, one that, for Jesus, would end up on a cross. Anyone who believes in Jesus as a model for living, one who promised hope and life in the face of despair and death, will also take up that mission along with its consequences. The cross we are asked to bear is a symbol of the intolerance, exploitation, prejudice and discrimination in the world today. That is why we placed our cross in our midst and not somewhere removed from us. By our baptism we are summoned to confront the evils of our time and speak out against them. Paul wrote to the Galatians long after Pergamon became part of the Roman Empire and long after they were considered a villainous people. He insisted on “the radical character and universal scope of God’s grace as a crucial factor” in the early church’s identity. We, too, proclaim that the freedom to be who we are is a gift from God; that all humans are equal in the eyes of God. We do not use the word “other” to distinguish our identity from people who are different from us. What’s in a name? Who do people say you are? Who do they say I am? Our Christian identity is part of the answer. Kahl, Brigitte. Reading Galatians and Empire at the Great Altar of Pergamon. ATLAS Collection of religion and theology journals. Categories: Homilies | Tags: Galatians Paul Jesus Peter Pergamon Altar equal Orlando killings terrorism identity name | Permalink. Every week members of our parish go to Coxsackie Correctional Facility to lead bible study classes. Last week, I went with them to compare the teachings of Christianity, Judaism and Islam. During the program some prisoners shared rather candid testimonies. They lamented over the lost opportunities in their lives and expressed guilt for the bad decisions made in the past. They also talked about how they destroyed the lives of others by their selfish behavior. High on their list were the ways they disappointed their children, girlfriends, wives and parents. They told us how hard it is for them to give up bad habits. As I listened I thought about what they and we have in common, that is, how hard it is for every one of us to give up bad habits as we we try to grow and develop into better human beings ourselves. My experience at the prison helped me think about today’s biblical texts. All three readings present stories of people who struggled in life trying to let go of the baggage weighing them down. Pastor Beverly Bingle offers a summary (paraphrased here): The widow in Zarephath felt guilty thinking her son got sick to death as punishment for her own sin. The apostle Paul was caught in the legalities of his ancestral traditions. The woman in Nain was the victim of cultural conventions that undervalued a woman’s place in society. In the gospel Luke replays the old testament story. So, Jesus, like Elijah, heals the son of the widow. He is thought to be revealing what the kingdom of God might look like, where people can be reborn to live freely, unencumbered by the injustices of the world. Jesus showed compassion and mercy toward the woman as much he did toward her son. These passages present opportunities to think of our own destinies. They are promises that the God who made this earth is not subject to the limits of it. Like the prisoners at Coxsackie we are doing time during this life struggling daily to find ways to break loose of whatever may imprison us from becoming more productive and caring human beings. Most prisoners try to make the best of their time in jail. Some write memoirs, others earn a degree or learn a trade. The volunteers who visit our prisons bring support and hope to the men. They remind them, by their continual presence to them, that God does not give up on them nor do they. 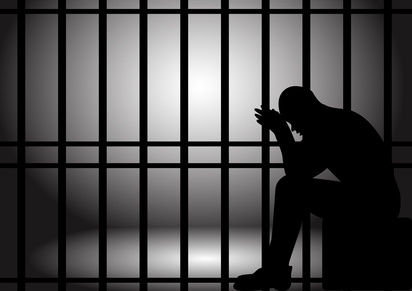 The other evening one resident said he often thinks it is good for him to be in jail where, in this hellish place, he is forced to live simply, possess almost nothing and spend time reflecting and praying. What matters most in life becomes clearer to him. He is fearful that life on the outside (where you and I live) is far more complicated, filled with empty promises and temptations that cause people to make bad decisions that can affect a person’s growth and the lives of others. Someone asked me “why do you go to the prison?” There are a couple of answers. I was invited to go just like I was nudged to volunteer at our food pantry. Both experiences have been rewarding for me. At Coxsackie I learn a lot from the prisoners about what it takes to keep on, to try again and again to restore and rejuvenate ourselves.. Categories: Homilies | Tags: prison God Correctional Elijah Jesus heal reborn habits sins change transform injustice | Permalink.